Separated into sections by ocean, Judith Schalansky’s atlas describes 50 islands from Easter Island in the Pacific to the less known Lonely Island in the Arctic. In the Preface, Schalansky writes, “Anyone who opens an atlas wants everything at once, without limits—the whole world” (23). This book gives us just that: the front and back covers are world maps, noting each island in the atlas. Each island gets its own separate entry with an illustrated map, its location, size, population, timeline, and narrative. In each entry, the act of creation becomes discovery for the reader, who may have never known about that island’s existence if not for this atlas. all text in this book is based on extensive research and every detail stems from factual sources. I have not invented anything. However I was the discoverer of the sources, researching them through ancient and rare books and I have transformed the texts and appropriate them as sailors appropriate the islands they discover (20). I love that she uses the metaphor of a sailor, an explorer, whose act of discovery is also one of creation, at least to the world aside from the islands’ inhabitants. A map is a story, a piece of art, an imposition of order on the natural world. 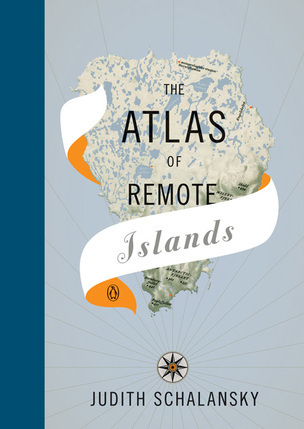 Atlas of Remote Islands gathers these maps into a greater whole; a piece of art. The Preface argues that it is time we recognize cartography as an art form, that “the atlas be recognized as literature, for it is more than worthy of its original name: theatrum orbis terrarium, the theatre of the world” (23). I think Schalansky’s onto something. Map essays have been making their way into creative nonfiction journals (such as DIAGRAM), and I’ve discovered several atlas/literature fusion books in the past few years: Hannah Hinchman’s A Trail Through Leaves, Samia Mehrez’s The Literary Atlas of Cairo: One Hundred Years on the Streets of the City, Rebecca Solnit’s Infinite City: A San Francisco Atlas and most recent Unfathomable City: A New Orleans Atlas. will always be great, far greater than any satisfaction to be had by attaining what is desired. Give me an atlas over a guidebook any day. There is no more poetic book in the world (23). 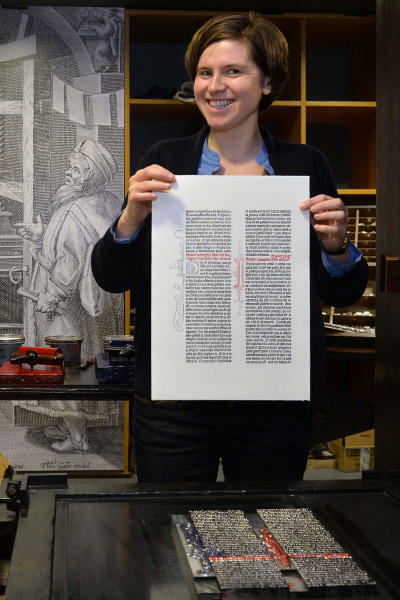 Judith Schalansky is a German writer, book designer and publisher. She is the author of four books. Her book Atlas of Remote Islands was the winner of the prize for the most beautiful German book of the year in 2009. In 2012 she won the same prize for The Giraffe’s Neck. Schalansky has degrees in both art history and communication design.